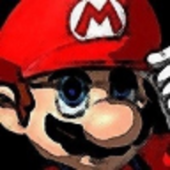 Super Mario RPG: Armegeddon is a difficulty and content mod for Super Mario RPG. It rebalances the entire game and adds a lot more post-game content, such as more FF bosses, two boss rushes, and even some special guests! This is the more reasonable version of Super Mario RPG Armageddon. Damage is greatly reduced, FP costs are lower, and battles are in general much easier. Patches should only be applied to the legally obtained 1999 US version of the ROM. Compatible with SNES9x 1.53+.